The reaction from the Think Progress guys to being accurately fact checked by @weeklystandard just goes to show some want fact checkers to be a cudgel against conservatives, not an actual service to weed out b.s. Think Progress is the most dishonest group in the media. They are consistently and intentionally dishonest. They are not upset about Facebook using a specific source to call them out, they are upset that Facebook is calling out their dishonesty at all. "Facebook censored us and we're suing." Who said it, infowars or think progress? Our article is factually accurate and The Weekly Standard’s allegation against us is wrong. Think Progress got called out for peddling liberal trash, which was also not true. And then, they have the temerity to say that Facebook is pandering and catering to conservatives. This is a matter of fact, not ideology. On Facebook, headlines are far more visible and widely read than articles are. The headline on the ThinkProgress article was false. Kavanaugh didn’t say he would kill Roe. And the Standard was right to point this out. The Standard has offered to withdraw the “false” rating if ThinkProgress changes its headline. But as of Wednesday, ThinkProgress hadn’t budged. Millhiser insists the headline is true. According to Merriam-Webster, he argues, “the verb ‘say’ or ‘said’ can mean to ‘indicate,’ ‘show,’ or ‘communicate’ an idea.” He maintains that Kavanaugh “indicated, showed, or communicated his intention to overrule Roe” by doing two things. First, a year ago, Kavanaugh said that a 1997 Supreme Court opinion, Washington v. Glucksberg, was “not consistent” with Roe and Planned Parenthood v. Casey, the 1992 opinion that reaffirmed Roe. Second, during last week’s hearings, Kavanaugh said “all roads lead to the Glucksberg test” as the Supreme Court’s rule for defining rights not enumerated in the Constitution. This is an interesting argument. But it doesn’t show that Kavanaugh “said” he would kill Roe. Let’s start with the dictionary entry Millhiser cited. It defines “say” as “state,” “declare,” “utter,” or “recite.” The only cases in which the definition refers to softer interpretations—“indicate,” “show,” or “communicate”—are when the act is nonverbal. The dictionary gives two examples: “the clock says five minutes after twelve,” and “a glance that said all that was necessary.” Kavanaugh is a person, not a clock. He spoke in words, not glances. To prove he said something, you have to show he said it. ThinkProgress and its allies have demonstrated why we need conservative journalists to help check facts. Second, at his hearings, Kavanaugh was asked several times what he thought of Roe. He refused to address the substance of the case. It’s misleading to report that he “said he would kill Roe” when in fact he declined explicit invitations to say he would kill Roe. Fourth, Kavanaugh repeatedly emphasized at his hearings that Roe could no longer be overturned on its merits alone. He said the court would now have to overcome the additional weight of Casey, which reaffirmed Roe based on stare decisis, a doctrine of deference to precedents. ThinkProgress and its allies have made the dispute into something much bigger. By attacking the fact check as biased on the grounds that a conservative magazine published it, they’ve proved the opposite of what they intended. They’ve confirmed that the press is full of left-leaning journalists who sometimes can’t see or acknowledge congenial falsehoods, and they’ve demonstrated how these journalists unite, when challenged, in a tribal chorus to accuse conservatives of trying to “censor” them. In sum, they’ve demonstrated why we need conservative journalists to help check facts. Watching my colleagues rationalize the false headline, accuse the Standard of imposing ideological censorship under the guise of fact-checking, and castigate Facebook for allowing “non-reality-based organizations into the fact-checking community” is humbling. It’s a reminder that most of us, including me, are good at seeing other people’s biases but lousy at seeing our own. 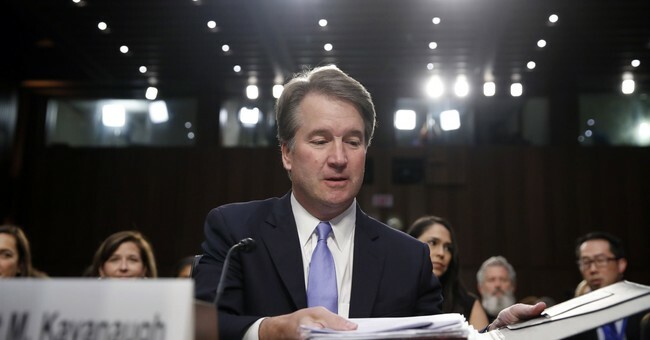 PolitiFact, in its initial report on the Kavanaugh hearings, said the nominee “raised a few eyebrows” when he “called birth control pills abortion-inducing drugs.” Days later, PolitiFact conceded that it had “repeated uncritically a Democratic talking point” and that Kavanaugh had actually been quoting a party in the case. I don’t see any of my colleagues on the left calling for PolitiFact to be removed from Facebook’s panel. At Townhall, you know what you’re getting. We make no qualms about leanings, like Think Progress, and when I’m wrong—and I have been—I make edits as quickly as humanely possible. It’s the right thing to do. For Think Progress, they decided to lecture us and cite the dictionary to defend their shoddy headline, which was turned into sashimi by one of their own. Nice work, guys.